To produce a Direct Mail campaign which would offer a creative solution to the brief. 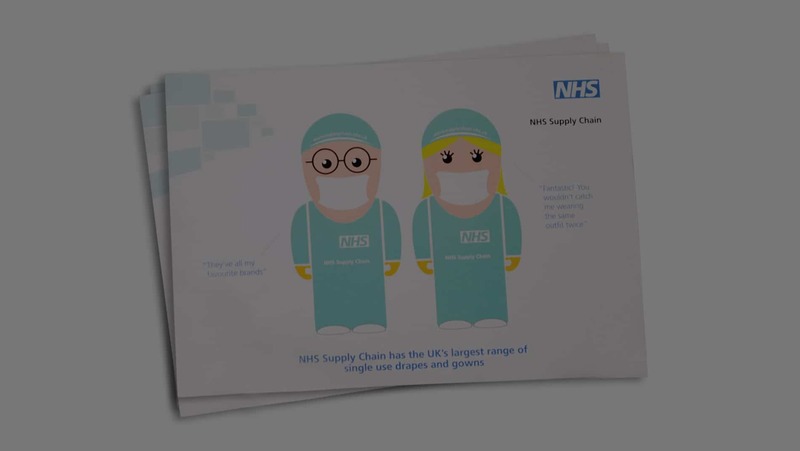 The NHS Supply Chain team with the purpose of offering each and every NHS Trust products from 20 leading Theatre brands, namely Operating Theatre Gowns. The biggest thing about this job was to action creative that was like nothing else NHS Trusts had received before. We needed to show the variations of colour and styles for Operating Theatre gowns and after consideration we decided on a quirky and fun way to sell the product. The choice of gowns were chosen with peel-able stickers which were applied to caricatures and were interchangeable. Different, creative, unusual and really, well received.